The mobile app industry has immensely grown in the last few decades, thanks to mobile phones – one of the greatest inventions in the history of mankind. Fast forward today, mobile apps have become an inevitable part of our daily lives and play a significant role in increased mobile usage. 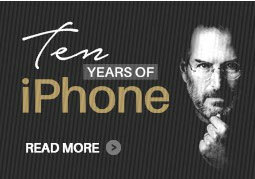 The time spent per day on mobile phones has increased about 575% in just 3 years. In that, about 80% of the time is spent using apps. Factors like the convenience of performing any activity with ease and the ability to stay easily constantly connected have a huge impact on the app popularity. Necessity is the mother of invention, which is why there are apps for various needs and purposes, spread across industries and categories. From dawn until dusk, our whole day’s activities can be controlled by various apps. According to Statista, the number of mobile app downloads is increasing each year and is projected to grow to 258 billion in 2022. Furthermore, mobile apps are projected to hit $188.9 billion in revenue by 2020. With such a bright future ahead, find out some of the most interesting mobile app ideas that will rule in 2019. According to a PwC report, the on-demand economy revenue which was $14 billion in 2014 will reach $335 billion by the time we reach 2025. From on-demand doctor to on-demand food delivery, on-demand laundry, on-demand cab, on-demand grocery shopping, and more, on-demand apps have become a part of our daily activities. The on-demand app industry is expected to grow further mostly because of its accuracy, convenience, nearest service availability, easy payment options, and cost advantage. It has also gained the attention of major investors as Rockbridge predicts that the number of users is expected to hit 93 million by 2022. The humongous success of WhatsApp, Facebook Messenger, Slack, and WeChat stand as testimonies to the growing customer demands for the instant messaging platform. Mobile apps have only simplified this rising demand by channelizing the entire process for the convenience of the users. These messaging platforms have completely transformed the way we communicate and collaborate in our personal lives and at work. As Mary Meeker outlined in Kleiner Perkins’ 2015 Internet Report: 6 out of the top 10 mobile apps are messaging apps, and messaging dominates other apps in terms of sessions. The customer service industry powered by chatbots and live chats has leveraged the growing popularity of messaging platforms. More than 73% of customers reported highest satisfaction rates with Live Chat. This has resulted in increased customer engagement, 6 to 8-minute average conversations, 11 turns per conversation, 50% user re-engagement, and an involved community of followers. As businesses are looking to provide quick solutions and round the clock support, mobile app development companies are gearing up for advanced chatbots and AI mobile apps. The increasing number of mobile apps has certainly stired the fear of security concerns. 2019 will witness mobile app development companies focusing on beefing up securities and addressing various concerns like possible hacking, and other performance issues. According to Gartner, the discussion on security has moved from being compliant to doing the right thing in 2019. Mobile app developers and companies will invest more time in holistic data protection and mitigating malware attacks. Enterprise apps have become imperative to ensure smooth business operations. An Adobe study shows that 77% of business owners leverage the benefit of enterprise apps and 66% are increasing their investment further. Increased need for accessibility, initiatives like BYOD, integrations to automate business workflows, support industry projects, enable frameworks for IoT and other advanced technologies will be key in propelling the digitization of enterprise mobile apps. It’s hard to deny the fact that mobile apps have become an integral part of the booming digital ecosystem. 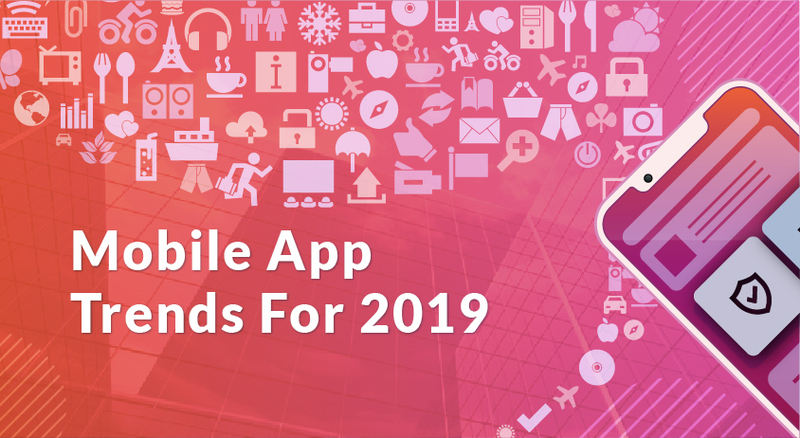 2019 will only continue to witness greater demand and increased adoption rate of mobile apps across industries. Furthermore, foldable phones, 5G, beacon improvements, IoT and other technologies that are expected to join the bandwagon will continue to influence the way we experience mobile apps.